In the 1890s, when the first homesteaders arrived along the western bank of the Henry’s Fork, north of Fall River, its major tributary in the then still relatively unpopulated and remote Yellowstone-Teton nook where I would later be born and spend my early years, my native Idaho had just achieved statehood. This was at the dawn of the four decade-long Progressive Movement which was embraced by individuals from across the ideological spectrum, including rugged conservative individualists such as my paternal great-grandparents and grandparents who arrived there to homestead on lands adjacent to Simington Nedrow and his wife Sarah, the first to settle there a few years earlier in what was known as Ora. Idaho then embodied the progressive desire to reform from the ills and gluttony of the “gilded age. Women there were in the midst of winning the right to vote in 1896 through a voter-approved constitutional amendment. Suffrage in Idaho had been lobbied heavily by an unlikely coalition of female members of the Mormon Church’s Relief Society auxiliary and populist radical union members in Idaho’s northern mining district which won supportive platforms across every major and minor political party, making the 43rd state only the fourth at the time to grant women the right to vote. Back then settlers such as the Bowmans and the Nedrows understood the crucial role of the commons. Nedrows were of a different faith but the frontier individualism of Mormons such as my great grandparents and grandparents was tempered by social innovation, as noted in an excellent piece by Jonathan Thompson in the current issue of High Country News. Thompson’s article cites a quote from another Idaho native, the late Dr. Leonard J. Arrington, who studied and taught near the part of North Carolina where I now live, before founding the Charles Redd Center for Western Studies at Brigham Young University in 1972, the year I graduated from there. In other words, they understood the important role of the common good including the importance of wealth-redistribution as a means to enable an upward mobility that benefited everyone. To paraphrase Thompson, they pioneered to make a “homeland” not to seek fortune. 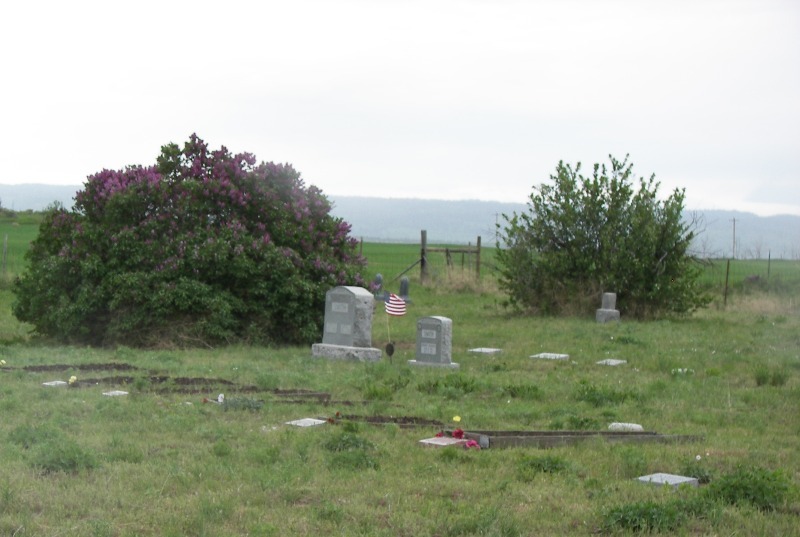 Commons such as the Ora Cemetery were carved into our family ranch and the first school was held just south in the Nedrow home before the two-room school my father attended was erected north of the ranch. This was still how half of the nation’s children attended school by 1910. In fact, Ora wasn’t a settlement so much as it was a reference for a crossroads near which homesteaders contributed to the commons by erecting a church, a school and a tithing granary in the shadows of what President Theodore Roosevelt would declare a few years later as the Targhee National Forest, just the nation’s sixth, placing what would become 69% of the Fremont County’s land area in commons. Ora, at the time of settlement, was along a stage line that skirted its way up and over the Centennial Mountains to West Yellowstone, Montana as the western gateway into Yellowstone Park. Just more than a decade later, the line was replaced when four miles to the east, a north-south spur from the transcontinental route was completed by the Oregon Short Line railroad (originally so named for its creation of the shortest route from Oregon to Wyoming,) an on-again-off-again subsidiary of Union Pacific. To settlers such as my ancestors, both the railroad and nearby Yellowstone Park to which it was a gateway represented government-facilitated investments in the commons as was the creation a few years later of a 60’ high, 500’ long hydroelectric dam on the Henry’s Fork midway between Ora and the railroad which required blazing a new supply route into town. Coincidentally, the dam, originally built by the Ashton & St. Anthony Power Company, played a role in the union of my parents a few decades later when water power technicians for Utah Power & Light, such as my maternal grandfather took rotations for its care and operation while their families, including my mother and grandmother lived on site following its purchase by that company in 1925. The Bowmans and Nedrows must have been moderate, as conservatives go, because at its core that ideology objected to compulsory education back then much as they are today complaining about being required to have health insurance. At statehood, schools in Idaho were mandated to be no more than six miles apart to make them easier for students scattered among far-flung ranches and farms to attend. In the two decades after statehood, the population of Idaho had increased from 89,000 to 326,000 and the number of children enrolled in public elementary or secondary schools had increased five fold. During the years Ora was first being homesteaded, the newly admitted state, with a population so small, was already founding two institutions of higher learning, the University of Idaho in 1887 and Idaho State University in 1901. Clearly, settlers such as my ancestors were grateful for the government investment in education as part of the commons. When football rivalries were initiated with adjacent states such as the one that began with Washington in 1894 and the one with Montana dating to 1903, it is a safe bet that my ancestors would not have agreed with a conservative columnist who tried a few weeks ago to link college football to a Progressive Movement plot to fuel big government. My grandmother, who completed the 8th grade, was far above a national norm that wasn’t eclipsed for several more decades. My grandfather who only finished a few grades was more the norm in late nineteenth century Idaho and much of America. My grandparents, Mel and Adah Bowman, who had moved from the 12’ x 14’ shack in which they lived while first “proving up” on their homestead, added a room to their three-room, sawed-log house so they could board eight different school teachers over the years, much to the consternation of my dad, their youngest of four children. My grandmother also served as secretary to the school board for more than 20 years and my grandfather ran unsuccessfully for election as Justice of the Peace. They understood that the requirements for forging a homeland also required taking responsibility for governing the commons. However, my grandfather contributed to the commons in other ways, directing for many years the co-operative Arcadia Canal Company that supplied more than 2,000 acres of land with water and where he proudly re-engineered an upfit to the dam at enormous savings. Ranchers by nature are conservationists and recyclers and my great-grandparents and grandparents were proud of a meadow and wetlands they fostered along each side of a creek that dissected the ranch. To impede plagues of devastating Mormon crickets that came in 1907, 1909 and 1915, my grandfather coordinated the work of other volunteer ranchers and farmers to innovate, build, maintain and improve two different fence lines, one running north from Egin to Sand Creek and another from the Fritz (now called Vernon) bridge on the Henry’s Fork, a mile south of the ranch to Sarilda at the base of Big Bend Ridge. Using materials provided by the county, my grandfather deployed a team of his prized horses pulling hand plows to dig deep pits behind fences of 10” boards with tin on top that each ran 15 to 30 miles long and were then patrolled by a county employee. Eventually, later attempts were made to dust the crickets by hand with arsenic, but to my grandfather’s frustration, this ended up poisoning cattle, sage hens and wild fowl. The conservative settlers of Ora were also keen environmentalists. My grandfather and his brother also adapted their steam thresher, only the second in that part of the country, so it could be used to run a sawmill to create boards for construction of the area’s first dance hall. Eventually my grandparents consolidated nearly 1,300 acres, nearly eight times the size of their original homestead, which together with summer range, enabled them to raise 250-500 head of cattle and horses. Simington Nedrow and my great-grandfather Hyrum E. Bowman were born ten years apart during the mid-nineteenth century and died a year apart. Hyrum is buried in that Ora Cemetery on my family’s homestead while Simington opted, as my grandparents did, for the cemetery in Ashton with grass and a better view of the Tetons. Hyrum and Simington both lost spouses and many other family members to the great world-wide flu epidemic of 1918. Paul Nedrow, a contemporary of my grandfather and Simington’s youngest son, died a few years later in that log house where my father had been born and where I would later spent my early years. His death occurred when his horse, which was making a sharp cut while chasing a steer that had broken away, fell and rolled over him while he was volunteering to help my grandparents corral some cattle which they had driven down from summer range near Sand Creek. Volunteering was part of the commons in frontier life as my grandfather demonstrated when he and his brother pried George Nedrow’s eight-room, three-story house up on to skids and moved it three miles to another ranch using 56 draft horses and help from 10 other neighbors. My grandmother, who worked the ranch as well as the home, survived diphtheria and smallpox as well as near misses with spotted fever and influenza and worked to encourage development of a hospital in nearby Ashton which opened the year after I was born. These settlers understood that investments in the commons minimized the risks of frontier life. Her intense advocacy for readily accessible healthcare was originated when, at age 5 1/2 in her native Nashville, Idaho, she had watched her father suffer for 10 days before succumbing to infection from a puncture he received in his side from a pitch-fork when jumping off a wheat bundle while caring for his brother’s family while he was away. I’ll never forget the time in the mid-1950s when Al Nedrow, a neighbor and Simington’s next to oldest child and a contemporary of my grandparent’s, was blinded by the sun one afternoon while driving west near the gateway to our ranch house and hit his son Alwyn, who had been coming down the hill on horseback while waving to his father. Alwyn’s leg was severely broken, but before loading him into our Jeep for the four-mile ride to the hospital, my father, grabbed his rifle and quickly put the horse, who was irreparably writhing in the borrow-pit, out of its misery. In another example of the importance of the commons, settlers in the Ora area were among the first served by an electric co-op in the late 1930s, thanks to an initiative by the federal government to bring electricity to rural areas during the Great Depression. When my father was born on the Bowman homestead in 1923, only 3% of the nation’s rural farms and ranches had electricity. Conservatives today ridicule the poor for using cell phones and initiatives to bring broad band technology to all of rural America, but they forget the role technology has always played in upward mobility. During the 1930s in the depths of the depression, the percentage of households with a refrigerator increased from just 8% to 44%. Ten or so years earlier in another example of the commons, my grandparents were among the first three families to get a telephone on what was called the “farmer’s line”, a multiple party system where many families shared a line managed by an operator through a series of coded rings. It was replaced by individual lines and rotary phones when I was in second grade, but during my first year of school, if my parents weren’t home when the school bus dropped me off, I was always required to check in with the telephone operator. The most eloquent description of the common good is the title essay in a compilation by Columbia Theological Seminary professor emeritus Dr. Walter Bruggemann entitled Journey To The Common Good. I write this account of a part of my heritage to remind myself and other family members just how central the common good has been to our progress.